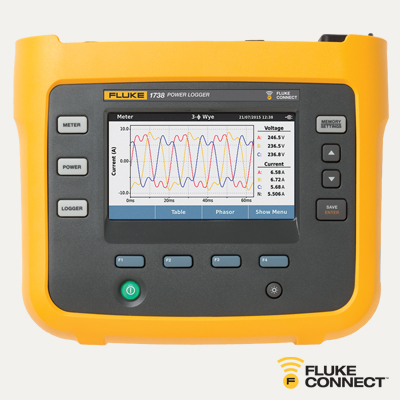 The Fluke 1738 Advanced 3-Phase Power Logger automatically captures and records comprehensive data for load and energy studies, harmonic measurements, and voltage/current events. 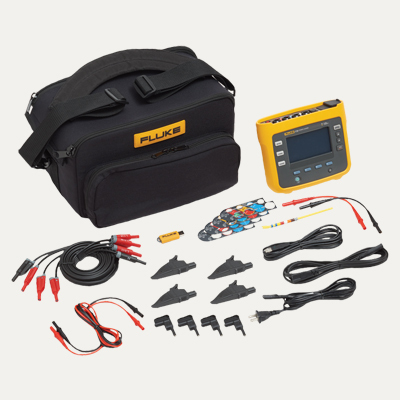 With the included Fluke Energy Analyze Plus software can easily chart and graph measurements and create detailed reports to help identify issues. What's the difference between the 1736 & 1738? 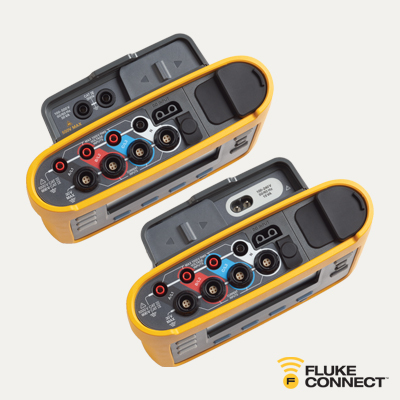 The 1738 offers advanced features: analysis with an enhanced Power Quality Health Summary (EN510160), capability to connect two Fluke Connect devices, and a WiFi / Bluetooth (BLE) dongle. The technical specifications for this product are over 4 pages long, view "Technical Docs" above for more info.